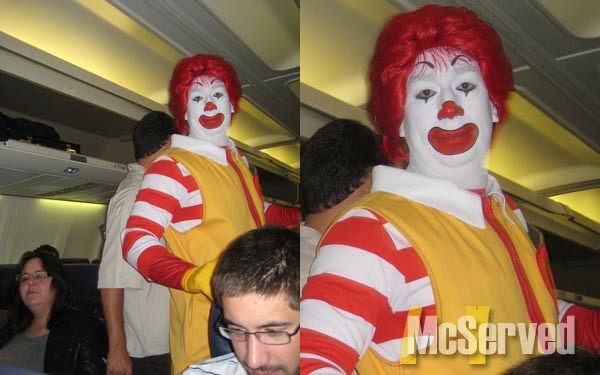 RANDOM SEARCHED RONALD | McServed: Getting Served McDonalds Fast Food Funnies, Laughs and More! The clown jokes flew. This guy really knows what it means not to break character. Even when he was “randomly” searched. Pictures, Ronaldstags: airplane, chicago, flight, flying.